The HP Omen 17 is a gaming powerhouse of a laptop. You can think of it as a sleeper car that pulls up next to your tricked-out car at a stoplight. When the light turns green, you expect the rusty old sedan to eat your dust but instead, you're shocked to see it blow past ahead of you. Powered by an excellent Nvidia GeForce GTX 1070 and priced at about $1800, it is a great deal too. What's more! It comes in several models; is VR ready and falls within a friendly budget range! In this post I will head deep into the review on HP Omen 17 and show you whether you should purchase it or not. Nvidia GeForce GTX 1070 with a 4K display with G-sync is an excellent deal under $2000. 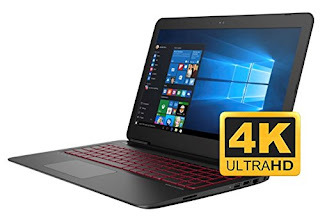 Compact and relatively light considering it being a 17-inch gaming laptop. Speakers lack bass and presence. No Thunderbolt 3 or USB 3.1 port. Gets hot and noisy under load for a long time. 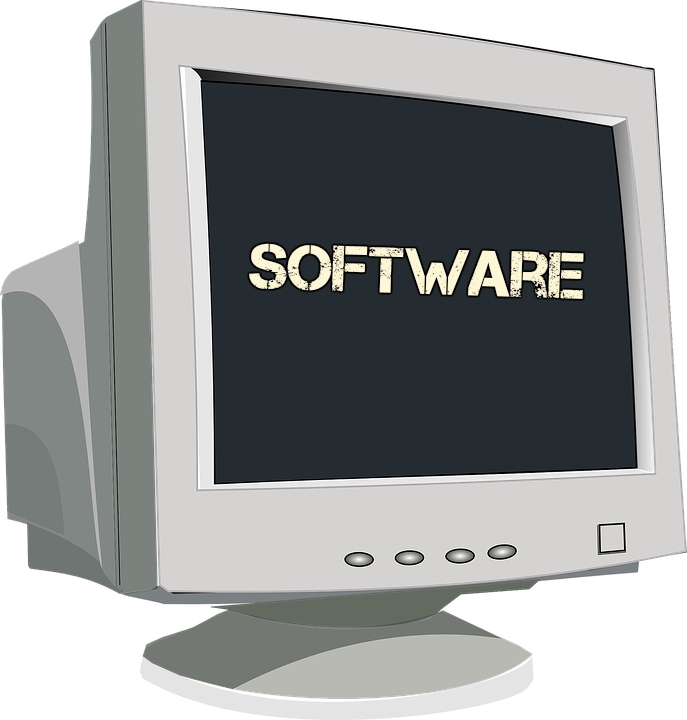 CPU: 6th-gen Intel Core i7-6700HQ processor; 4 cores with Intel Hyper Threading Technology. Ports: USB 2.0, USB 3.1, Headphone / Mic, HDMI, Gigabit Ethernet,4 USB ports, SD memory card reader. 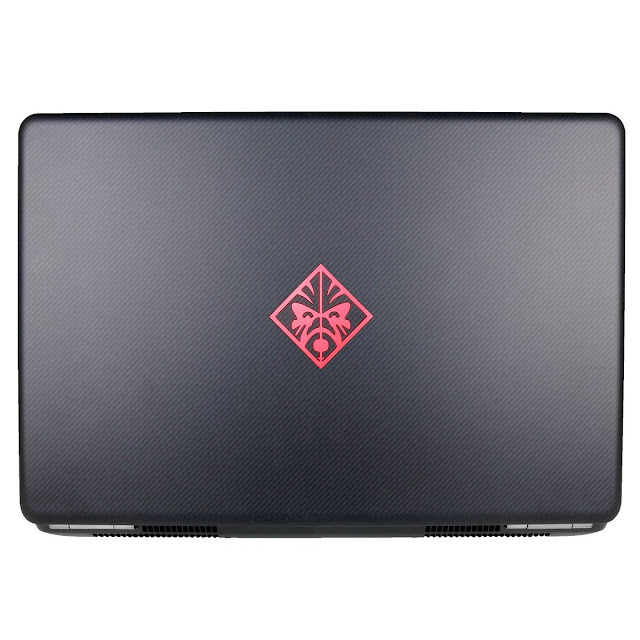 The HP Omen 17 is a brooding machine that mixes a dark pattern with red accents. The metallic HP Omen logo stands out on the lid. The speaker grille is a smart-looking, patterned unit. The laptop looks pretty good and weighs at 3.35 kg with maximum thickness at 34 mm. The HP Omen 17 isn't rock solid. Pressing the lid results in screen distortions, and the underside is too flexible. The wrist-rest and the area around the keyboard are however sturdy. To access the internals, you need to pop off a tiny panel on the underside, revealing two memory slots. That's it. You don't have access to any other internals. You can't even swap the hard drive. There is plenty of options for ports too. You get only three USB 3.0 ports, an Ethernet jack, an SD card reader, and headphone and microphone jacks. You also get a MiniDisplay Port and an HDMI port to connect external monitors. All the ports are located at the right side of the chassis, which is a disadvantage for right-handed users since there can be collisions with attached peripherals or cables, while you use an external mouse. There is no optical drive. The Omen’s soft touch red backlit keys are snappy and cozy, so its good for some work too. The keys have 1.2 mm travel with 63-gram actuation, which allowed me to literally breeze through it, with perfect accuracy. The red backlighting cannot be customized for any other colours, and there are not any special macro keys for performing in-game functions faster. Although such features are not absolutely necessary, the competition, such as MSI Dominator Pro offers a lot of keyboard colour and customization options. The Omen’s 4.6×2.5-inch touchpad is like a mixed bag. Scrolling and performing Windows 10 touch gestures felt somewhat smooth, and the click button didn't feel responsive or satisfying to press. The vibrant 4K 17-inch display sourced from LG is good enough for movies and games, with detailed visuals, with accurate colours. I was immersed while playing battlefield 4 in ultra high settings. The burning debris around me had a bright orange glow, and I could spot out the chunks of mud everywhere. The display has produced 178.17 percent of the sRGB colour gamut, with a Delta-E colour accuracy score of 1.38, which is impressive and better than the Asus ROG Strix’s 1080p screen, but not as accurate as the MSI Dominator Pro’s display(108 %, 0.68). The brightness, however, was too low, with an average brightness of 286 nits, trailing behind the ROG Strix, with 300 nits average brightness, and the Dominator Pro, with 301 nits brightness. Nvidia's G-Sync allows the display to sync directly with the GPU for the smoothest performance possible. Although the Omen can run most games without this feature kn or off, G-Sync cleared some minor stutters and screen tears. The HP Omen 17 is power-packed with an Intel Core i7-6700HQ CPU produced on a 14 nm process which is a quad-core CPU with hyper-threading and a base frequency of 2.60 GHz and turbo max frequency of 3.5 GHz, with 16 GB of RAM, which aside being a gaming powerhouse, is great for multitasking, with the system never slowing down under heavy load, with a slew of browser tabs open. The 256GB SSD provided with the Omen copied about 5 GB files in 25 seconds, which sums up to a transfer rate of 203.6 MBps. Thats fast, but falls behind the Strix’s 424 MBps and the Dominator Pro’s 628 MBps. In the Geekbench 3 test, where overall speed of the processor and memory are measured, the Omen 17 scored 13352 points, coming behing the MSI Dominator Pro with a score of 13356 points,with the Asus ROG Strix coming at the bottom with a score of 13348 points. 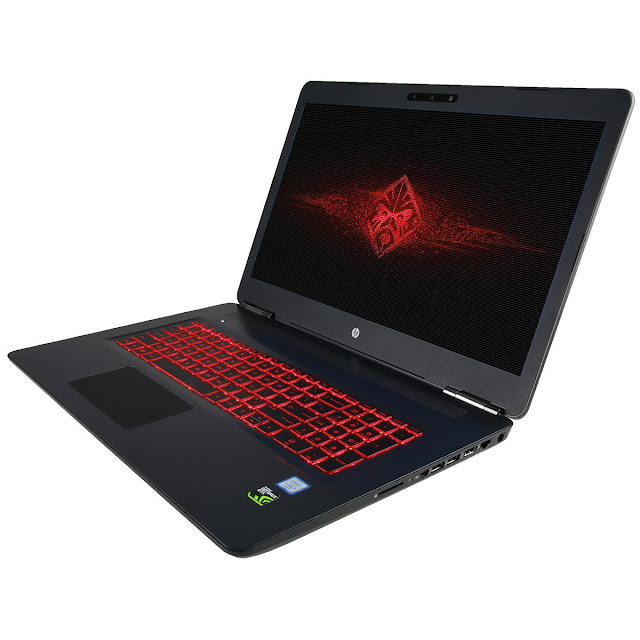 Packing Nvidia’s desktop grade and Nvidia’s second best laptop GPU, the GeForce GTX 1070 with 8 GB of DDR5 memory,and its 2048 stream processors deploying the muscular and efficient pascal architecture, which is currently used inside all of the best gaming laptops, the Omen is well equipped for handling modern games at cranked-up settings. 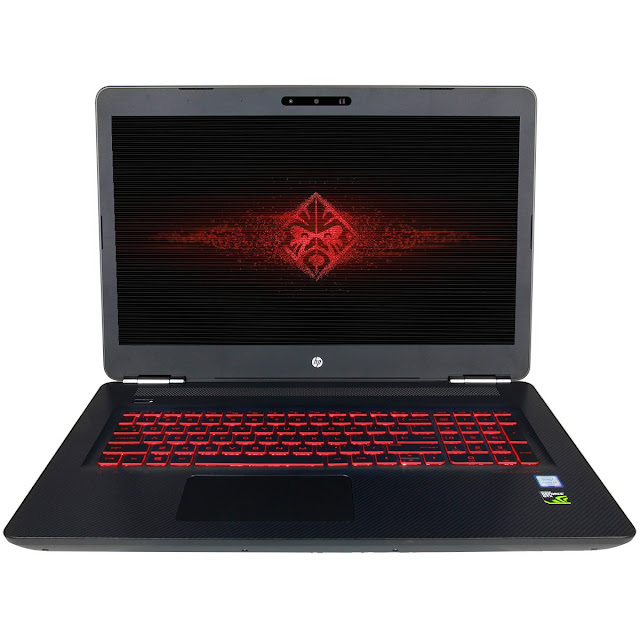 The laptop handled the intense warfare of Battlefield 4 with 60 fps at 1080 pixels with graphics on high, highlighting every details. Turning the resolution up to 4K, the game was highly playback at a modest 45-50 fps. The Omen is a certified portable VR powerhouse, scoring 10.1 on the Steam VR performance test, which ties with the Dominator Pro (10.1) and below the Strix (10.6). In the 3DMark Fire Strike test, the Omen 17 scored 12665 points, with the MSI GT62VR 6RE coming second at 11306 points and the Asus ROG Strix coming last at 6510 points. In the 3DMark Ice Storm Unlimited test, the Omen 17 again came at the top with 136584 points, with the Asus ROG Strix coming second at 128487 points and the MSI GT62VR 6RE coming last at 123310 points. In GTA V (1920×1080) at very high settings, the Omen 17 scored 69fps, with the MSI GT62VR 6RE coming second at 67 fps. In Rise of the Tomb Raider(1080 pixels at max) the Omen 17 scored an impressive 52.3 fps, with the Strix coming at the top with an amazing 77 fps, and the Dominator Pro coming below at 47 fps. The Omen’s GPU is however not overclockable like some of the laptops out there such as the Gigabyte P57X V7-CF1. The Omen 17 returned mixed results in thermal test. AIDA64 tested our CPU to 84°C and the GPU to 71°C but the fans were getting quite loud. The keyboard and back panel were heating up quite a lot too. During the CPU stress test, the processor ramped up to an very high 97°C, with the fans getting very loud and warm air pumped out of the vents on both sides. In a nutshell, under heavy load, the laptop gets pretty uncomfortable and you would not want to keep it on your lap most probably. The HP Omen 17 is light on bloatware, pre-loaded with Windows 10 Home and with only a few apps including HP’s usual support and printing apps, a pre-loaded Netflix app, Cyberlink’s Power Media Player. You also get 25 GB of free Dropbox space for a year, and a 30-day McAfee LiveSafe trial package. The Bang and Olufsen branded speakers on the Omen 17 were loud, and crisp, with clear audio. It filled a small room with movie audio easily. The explosions had depth in them, and I could hear the faintest of screeches from the car tires kicking up gravels at high speed. While listening to songs, the guitar strokes were perfect. And the Omen’s Music mode increased the experience by a far greater amount. The app had a simple and clean user interface with useful options such as Music, Movie and Voice modes. You can also manually adjust the bass, treble, and dialog clarity yourself. You can also play with an equalizer to fine-tune your sound and switch between microphone presets, whether you want noise cancellation or a wider sound for capturing groups.There was no sign of any muddy outputs like most of the laptops out there. The system was just a bit weak on the bass. There was movie and voice modes too, but they are simply tinny, and Music mode is the best to extract every ounce of your speaker performance. The Omen’s 88-degree Wide Vision HD webcam was good, and the better part is that it is serviceable, but I would definitely not use it. It was not exactly colour accurate and my face looked somewhat red and blotchy and my beard and hair appeared as a single black blur. The Omen has enough power to keep going for about 1 hours 28 minutes while heavy gaming and about 3 hours 56 minutes of web browsing with a WiFi connection until the battery dies completely. 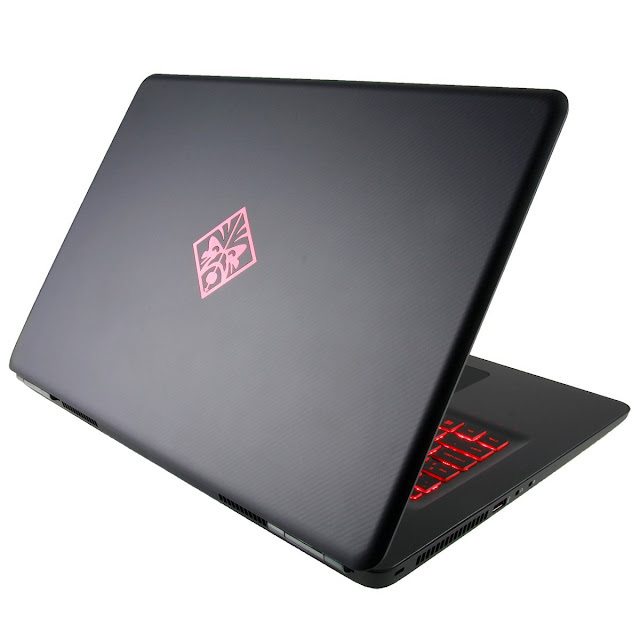 The ROG Strix however came at the top in this test with a time of 5 hours 52 minutes and the MSI GT62VR 6RE coming last at 3 hours 20 minutes of battery life when web browsing using a WiFi connection. All in all the battery life in HP Omen 17 is not too amazing and neither poor. It offers a mediocre but respectable juice to the laptop. The HP Omen 17 starts from $1299 which includes a 1080p display, an Intel Core i7-6700HQ CPU, 16GB of RAM, 256GB SSD and Nvidia GTX 965M GPU. This is the only model that is not VR ready. The $1479 model gets you a 1 TB hard drive and GTX 1070 GPU but 8 GB of RAM. With the $1538 model you get a 128 GB SSD besides the hard drive. If you want a 2 TB hard drive and a 4K display, you would have to shell out almost $1699. The top-end $1799 model packs a 4K display,16 GB of RAM and a 512GB SSD along with a 2 TB hard drive. 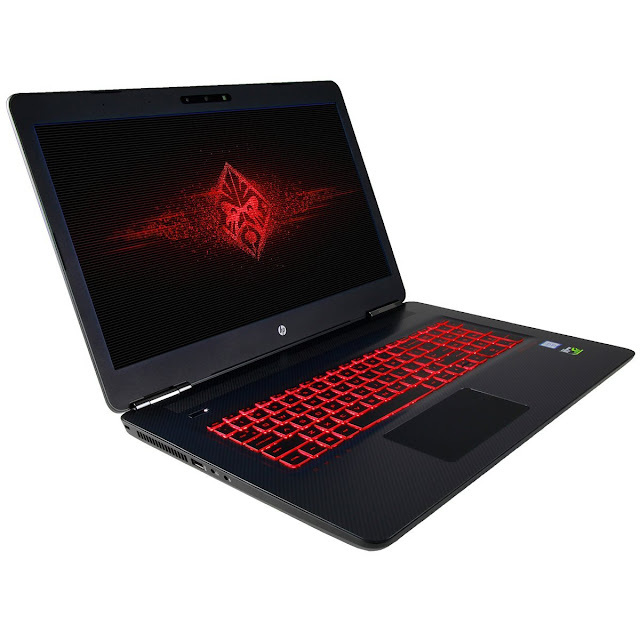 The HP Omen 17 offers pretty high end gaming and VR performance along with good portability all for under $2000 which is a good deal. The GTX 1070 is an absolute performer and is sure to run every games in high settings for the upcoming 2 years. The Core i7 and the SSD makes it a hell of a multitasker and the laptop is great for your work too. The 4K display is a treat to look at while playing games or watching movies. Sure it has a few downsides, the most noticeable one being heating up, but other than that, it is a pretty good piece of kit for relatively less money and it surely earns a recommendation from me. Related: Check out the Best Gaming Laptops in 2017.